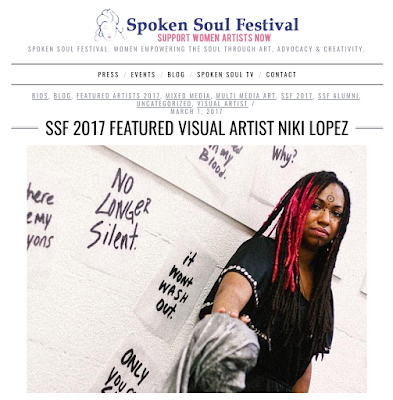 HONORED to be one of the 2017 featured artists of #SWANDAYMIAMI - Spoken Soul Festival. A weekend of the arts, community outreach and sisterhood! 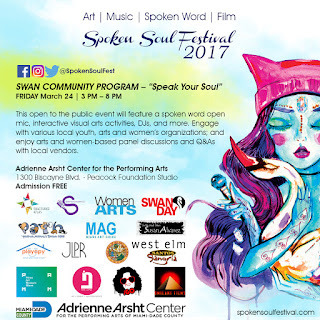 Spoken Soul Festival is one of the top five SWAN DAY celebrations in the world. I'm a Spoken Soul Festival Alumni from 2011. Read more here. SWAN Day/Support Women Artists Now Day is an international holiday designed to showcase the power and diversity of women’s creativity. Be a part of SWAN Day by creating or participating in a local event or online activity that celebrates women artists! Read more here. This year the three day festival will take place at the Adrienne Arsht Center for the Performing Arts in Miami, Florida. I'll have a few pieces of my work as a part of the showcase. Join me THIS Saturday in Miami at the Adrienne Arsht Center for the Performing Arts (Peacock Foundation Studio). 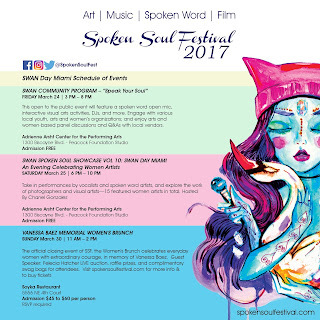 Spoken Soul Festivals: A three day festival nurturing and fostering women artists to inspire and educate our community of the importance of the arts in our daily lives. 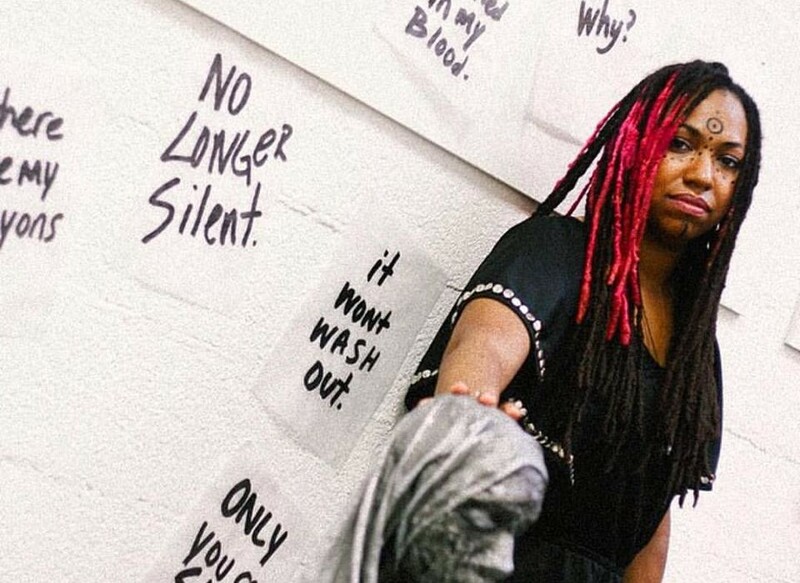 This open to the public event will feature a spoken word open mic, interactive visual arts activities, DJs, and more. Engage with various local youth, arts and women’s organizations; and enjoy arts and women-based panel discussions and Q&As with local vendors.